Cedar Mountain has been hand assembling spa covers for over 35 years, and we continue to bring Great Falls, MT the best spa product available. These spa covers are made with the finest materials that are assembled in the United States, and not an off-shore assembly line where quality control may not be as strict. 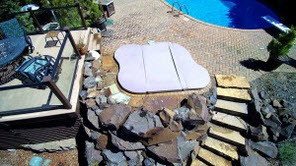 Our custom made covers are built to endure the various weather conditions that are known to hit the Northwest. 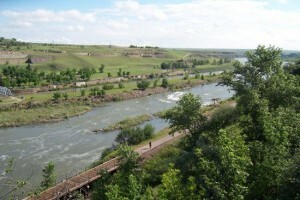 Between the years 1950 and 1970, Great Falls was the largest city in Montana, but the town of Billings now holds that honor. Great Falls held the title of the second largest city in Montana, until the year 2000, until Missoula stepped in. 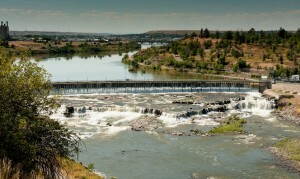 Now, Great Falls steadily holds the place of the third largest city in the state of Montana, with a population of about 60 thousand. 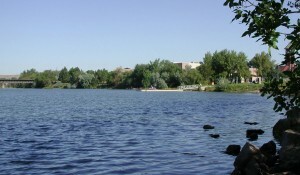 The city of Great Falls is named after the several waterfalls that are in the area. The Iris became the official flower of the state, in June of 1964. Great Falls is also fondly referred to as the “Electric City”, the “River City”, and the “Western Art Capital of the World”. It doesn’t matter if your favorite outdoor activity is jogging, walking, biking, or skating, the “River’s Edge Trail” is a perfect location to do any, or all of these activities. These paved trails offer a scenic view of the river, as well as passing through some historic sights. Along the route are benches, rest rooms, and drinking fountains. This trail connects some of the great parks in the area, including: Oddfellows Park, Warden Park, Electric City Water Park, Elks Riverside Park, and the dog park (just to name a few). There is a telescope near the gazebo in Warden Park that can offer you a unique view the entire city and the spectacular surrounding mountains. Some famous people who have lived in Great Falls, include the oldest man in the world (Walter Breuning), before his death in 2011. Dorothy Colburn, who was a stunt person and actress in silent movies, also lived in Great Falls. Football players, Dave Dickenson and Dallas Neil, and Tracey and Missy Gold, who were child actresses, best remembered for their roles on the TV sit-coms, “Benson” and “Growing Pains” are also some of the famous people of Great Falls. A few movies made in the city and around the area of Great Falls, MT, include: “Northfork” (2003), “Holy Matrimony” (1994), the “Untouchables” (1987), and “Thunderbolt and Lightfoot” (1974). There are about 150 dealers available in the U.S. who carry Cedar Mountain spa covers, including “All Seasons”, in Great Falls.Check out our Dealer Locator to find more local spa cover dealers near you.